In a medium bowl, beat goat cheese and buttermilk on medium speed witha mixer until smooth. Stir in chives and next 3 ingredients. Divided goat cheese mixture evenly among each piece of naan, spreading to within ½ inch of edge. 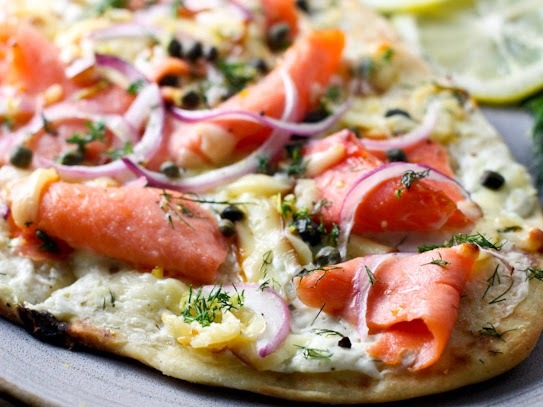 Top with smoked salmon, shallot, and arugula. Serve immediately.